Syracuse added four signees on National Signing Day, rounding off the class at 21 players. For details on the new commits, check out this piece. Time to break down the 2019 class in full. SU did a nice job filling needs. The biggest concern was at the linebacker position after graduating starting linebackers Kielan Whitner and Ryan Guthrie. Although Syracuse only landed three linebackers, it’s by far their strongest position quality-wise. SU’s highest rated recruit Mikel Jones is a linebacker and so is Rivals.com four-star Lee Kpogba. On the offensive side, Syracuse had one glaring issue after the early signing period. The class of ’19 had no quarterback. Chance Amie’s transfer made it even more alarming. One of the big victories on Wednesday was signing Connecticut QB David Summers, who verbally committed last week. A team should never welcome in a class without a gunslinger, so landing Summers capped off a positionally sound recruiting season for SU. Easiest to do this with a graph. This class is pretty similar to last year’s class, with predominantly three-stars to go along with one or two four stars. By 247sports.com’s account SU is down one spot nationally in the class rankings compared to last season. The Orange dropped to 51st. 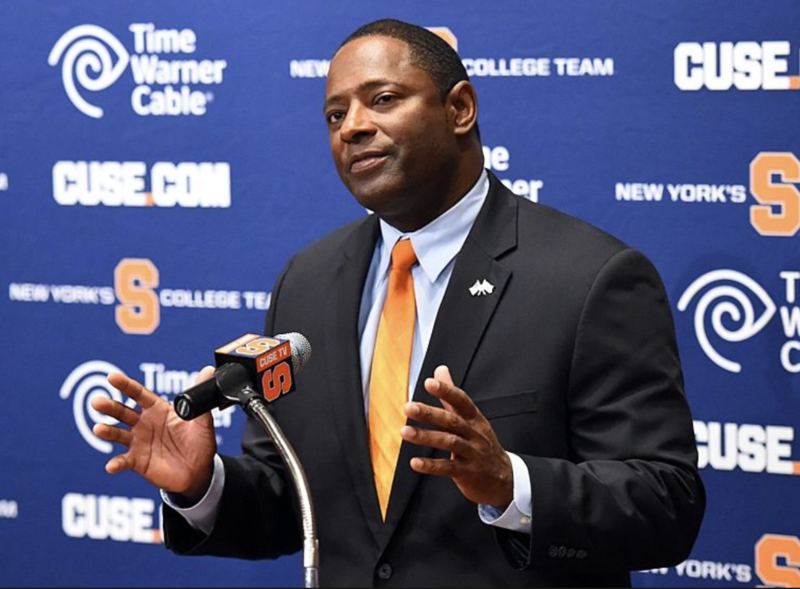 It’s a negligible difference that shows head coach Dino Babers is yet to turn Syracuse into the recruiting power he hopes it will be soon. On a more positive note, it shows the consistency necessary to make a leap in the future. The program continues its love affair with the state of Florida. Who can blame them? Meanwhile, New York continues to lack in top tier talent committed to the Orange. The entire class in alphabetical order: click the hyperlinks for more!